My wife and I had a travel trailer for 20 yrs. Very nice and comfy for trips. For hunting it's a bit different. I have a canopy/topper on my truck. I keep all me gear in there nice and dry. The 12 ft jon or canoe fit on top. It gives me mobility. If weather is decent I usually set up my Cabelas guide model tent right behind the truck. For years I slept in the canopy but Ive found that grandpa can't bend like he used to. Putting on shoes in the middle of the night when (not if) nature calls is a pita. I'm really liking a canopy and tent. Ive thought about the ones that attach right to the back of your canopy. Its the bedroom yet everything can be stored in the canopy. Yes I owned a cab over camper three years ago. Never again. We jacked it up getting ready to back the truck under it. Tailgate 6" from the front of camper (not touching). I was on one front jack and my son on the other. We wanted just a cpl more pumps to lift that last inch. Right. My jack broke. The cab over part hit the truck then the whole damned thing rolled onto me. The camper was one me and partially on the truck. My son is 6'5" and about 270 lbs. He ran around and got under that damned thing next to me and leg pressed up. I was able to slide out. I think he squatted 800- 1000 lbs. No one hurt bad but both of us were so sore. You can keep those cab overs. Jacking them up/down is dangerous. Add in wind gusts and your trying to get someone killed. Yes I'm biased. But I learned. My $.02 worth. My first rule of camping: if you can hear a bear breathing, you are too damn close. The corollary to rule number one is, small Idaho bear or no, bears still eat meat. (did I mention I am mostly made of meat)? Second rule of camping: Grizz in camp = bullet hole in tent from inside. Corollary to rule number two, note to self, send tent for cleaning and fumigation. We have a lance 815 and pull a 17 1/2 foot alumacraft, really like it, look around for a good used one, as mentioned earlier look for water damage. The only camper I would ever own, but I'm more of a 5th wheel guy these days. Lance, is the only way to go, nice rig. We went with the Lance 1172 and love it. The more I think about this the more I want to find a short bus and convert that sucker into a mobile hunting/fishing rig. Do they make 4wd school buses? California Flyway and tcc like this. 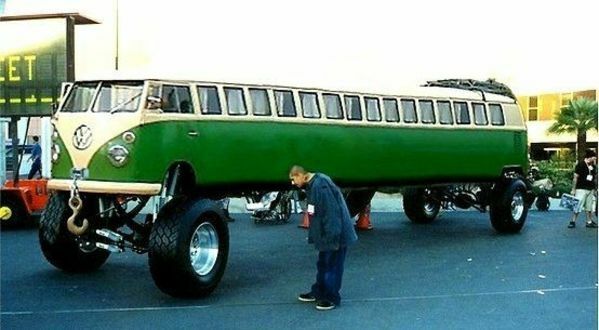 That would be an awesome traveling hunting & fishing rig! I read a couple of books by Jim Fergus (sp?). In the first book, his first foray, he was in what I believe they call a Class C motorhome. In the second book, he was in a Suburban, towing an Airstream. I tried to contact him to ask about the change, then I realized, there are advantages to being able to dump your home somewhere, as opposed to a totally self-contained unit. 1) Even with a smaller motorhome, you can't negotiate some of the narrow roads/trails to your hunting spot. 2) You have to tear everything down every time you need to go to town, travel to even another not too distant spot. 3) If something vital breaks inside the camper, you might spend days stuck in a repair lot-or get a motel and rent a vehicle, which could eat up your budget. 4) If your tow vehicle breaks down, you could hire someone to set your camper somewhere, rent a vehicle, and still get after it, at least somewhat, while waiting for the tow vehicle repairs. May be cheaper than getting both a vehicle and motel. The down side is that if you are towing a trailer, where does the boat go?